In this chapter, from verse 2 through the end—from mayy avesya mano ye mam (“fixing the mind on Me”) through ye tu dharmamritam idam (“this religion of eternal engagement”)—the Supreme Lord has explained the processes of transcendental service for approaching Him. Such processes are very dear to the Lord, and He accepts a person engaged in them. 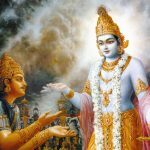 The question of who is better—one who is engaged in the path of impersonal Brahman or one who is engaged in the personal service of the Supreme Personality of Godhead—was raised by Arjuna, and the Lord replied to him so explicitly that there is no doubt that devotional service to the Personality of Godhead is the best of all processes of spiritual realization. In other words, in this chapter it is decided that through good association one develops attachment for pure devotional service and thereby accepts a bona fide spiritual master and from him begins to hear and chant and observe the regulative principles of devotional service with faith, attachment and devotion and thus becomes engaged in the transcendental service of the Lord. This path is recommended in this chapter; therefore there is no doubt that devotional service is the only absolute path for self-realization, for the attainment of the Supreme Personality of Godhead. The impersonal conception of the Supreme Absolute Truth, as described in this chapter, is recommended only up to the time one surrenders himself for self-realization. In other words, as long as one does not have the chance to associate with a pure devotee, the impersonal conception may be beneficial. In the impersonal conception of the Absolute Truth one works without fruitive result, meditates and cultivates knowledge to understand spirit and matter. This is necessary as long as one is not in the association of a pure devotee. Fortunately, if one develops directly a desire to engage in Krishna consciousness in pure devotional service, he does not need to undergo step-by-step improvements in spiritual realization. 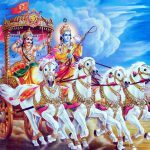 Devotional service, as described in the middle six chapters of Bhagavad-gita, is more congenial. One need not bother about materials to keep body and soul together, because by the grace of the Lord everything is carried out automatically. Summarizing the qualities fixed in various types of his devotees which he has just mentioned, the Lord now describes the result of hearing and considering these qualities by persons desirous of completely obtaining all those qualities. These qualities, which arise from sense control (santi, mentioned in verse 12), which in turn arises from bhakti, are not material qualities. Krishna is pleased by bhakti, not by good qualities. Such statements are innumerable in the scriptures. Tu here indicates differentiation. The various devotees previously mentioned were fixed in their individual natures with certain qualities. But those practitioners who desire all of the qualities of all the types of devotees are superior to those mentioned, who have attained some of the qualities. Therefore, the word atlva (surpassingly) is used. Such devotees, who take up all the qualities, are even dearer to me. The astonishing qualities of bhakti, which is supreme and blissful, which can be practiced by all, and is easy to perform, have been explained in this chapter. 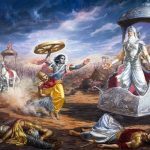 Though it has been shown that jnana is bitter like nima fruit and bhakti is sweet like grape juice, still, these two processes are taken up their respective followers who crave that particular taste. 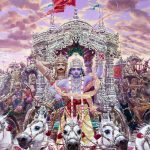 12.20 But those who follow Bhakti Yoga — ‘which is a nectar of virtuous duty,’ i.e., which is at once virtuous duty and nectar, and which even as a menas, is equal to its end in conferring bliss on those who follow is as stated above, i.e., in the manner taught in the stanza beginning with ‘Those who, focusing their minds on Me’ (12.2) — such devotees are exceedingly dear to Me. 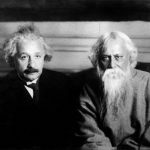 ye — those who; tu — but; dharma — of religion; amṛtam — nectar; idam — this; yathā — as; uktam — said; paryupāsate — completely engage; śraddadhānāḥ — with faith; mat-paramāḥ — taking Me, the Supreme Lord, as everything; bhaktāḥ — devotees; te — they; atīva — very, very; me — to Me; priyāḥ — dear.